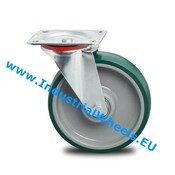 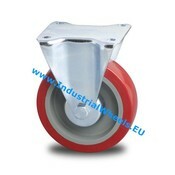 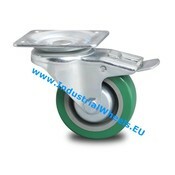 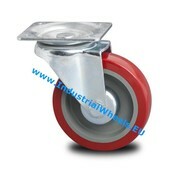 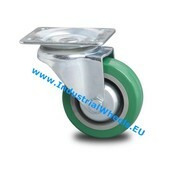 Industrial fixed and swivel castors with a polyurethane tread. 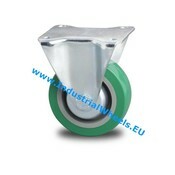 Perfect for dry industrial environments. 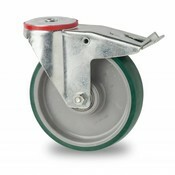 The wheels can handle up to 400 kg each. 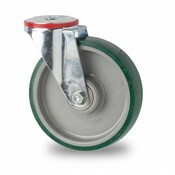 These wheels are perfect for transporting medium loads on smooth, dry floors (tiles, cement or coatings) thanks to their low rolling resistance. 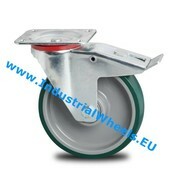 The high cut, tear propagation resistance and durability ensure a long life in an industrial environment. 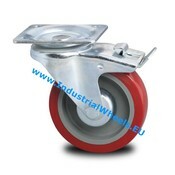 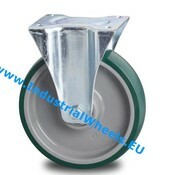 These wheels are mostly used for indoor industrial applications such as trolleys, carts, medium to large waste containers and a wide array of transportation devices.